in addition to the fabulous Arne and Carlos. Be prepared for lots of Rowan yarns, books, samples and more! We will also have all the Arne and Carlos books for sale as well. Departure Location - We will be departing from the Anderson Regional Transportation Center in Woburn. It is situated at 100 Atlantic Avenue (the street may vary depending on search engine, but it is the only thing at the end of Atlantic Avenue. You can reach it via Rte 93, Commerce Avenue Exit # 37C. As you come off the exit and arrive at the lights, you will go straight across the intersection and into the Transportation Center. I am sure you all have GPS in the event you are coming in from another direction. Parking Facilities - When entering the Center, you will turn left into the Long Term Parking Lot. It is $7.00 per day to park there. Do not park in the short term lot - you will be towed. Departure Time - I ask that everyone be in the Regional Transportation Center for 9.00 am. Please do not attempt to board the bus without receiving your registration materials. The driver will not take your luggage or let you on the bus without it. Also, please leave the front row empty for the those working on the bus. Registration packet - You will be receiving a name badge, luggage tags and further information about the retreat. We ask that you wear your name badge throughout the weekend during sessions and retreat meals (breakfast, lunch and tea). Please put your luggage tags on the bag(s) that will go under the bus. These are the bags that will go directly to your room from the bus. Be sure to keep your knitting with you! In addition to an amazing Trunk Show and Yarn Tasting, we will also have most of the Rowan yarns and books with us for purchase or order. Everything you purchase/order during the retreat is 20% off. Homework - Arne and Carlos have asked that we give out homework for the workshops. We respectfully declined. You will have ample time to do the required homework on Friday afternoon and evening so no worries. And for those of you who have been with us before - NO WINDING this time! Thank you Rowan! Meals - Breakfast Saturday and Sunday, Lunch Friday and Saturday and Dinner Friday are all included. We have even taken care of all gratuities so no tipping necessary. You are on our own for Dinner Saturday evening and Lunch on Sunday afternoon. We have done this as most like to get out and enjoy the shopping as well as other restaurants in the center of town - all within walking distance. Should you want to stay close, the BroadArrow Tavern is available at the Hotel. The Maine Harvest dining room, while open for breakfast, is not available for dinner so plan accordingly. Check-in - Please do not go to the desk to check in (especially those of your arriving on your own). The keys and registrations are kept together for us and we will be given all room keys once the rooms are available and your luggage has arrived. We will distribute the keys to you at that time - usually around 3.00 pm, just before afternoon tea. We have been asked by the Inn that we do it this way and having done it all these years, it works best. We do ask that at some point during the weekend, you provide the front desk with a credit card for any incidentals. Departure time - We plan to leave the Inn on Sunday at no later than 6 pm, which will get us into Woburn by 8.00 pm. Final Payment - There are some of you who still owe your final (and some Single Supplement) payments. Please either call the shop (781.570.2134) to provide your credit card information or go to our website and pay there. All payments must be made prior to Friday. Information Sheets - For those of you who were on the retreat last year or who joined us for this year's Rhinebeck adventure, I have your Information / Emergency Contact Sheets. For the rest of you, please complete the form by clicking HERE. Dietary Restrictions - If anyone has a particular dietary restriction, please let me know. All meals at the in will have details regarding ingredients, particularly for Gluten Free, but it helps for me to tell them how many people may be impacted. While it is on your Information Sheet, please drop me a quick email to let me know. 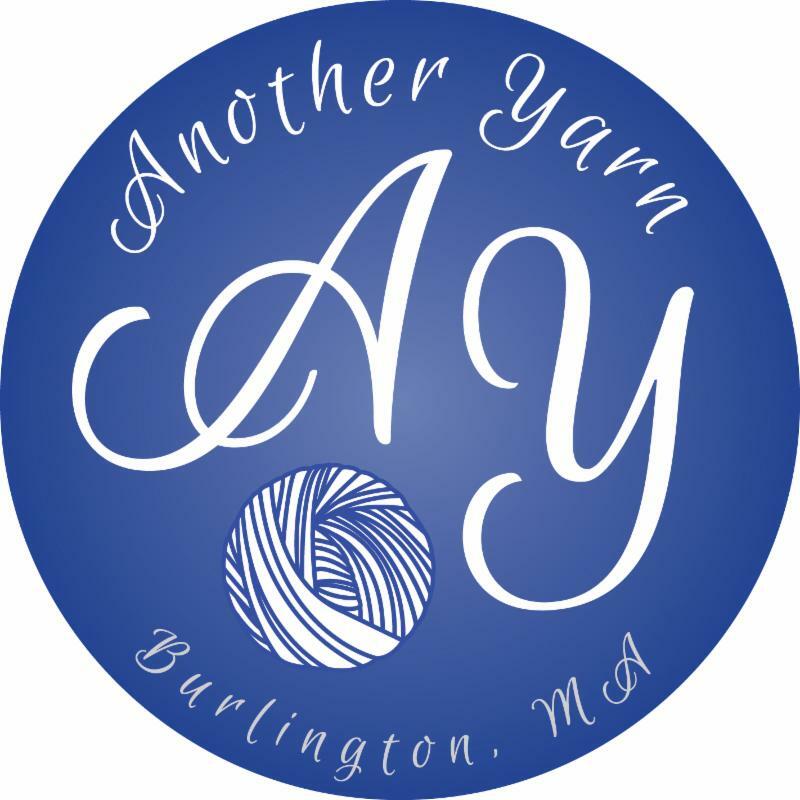 We have tried to think of everything, but if you have any questions, email at info@anotheryarn.com or call 781.570.2134.